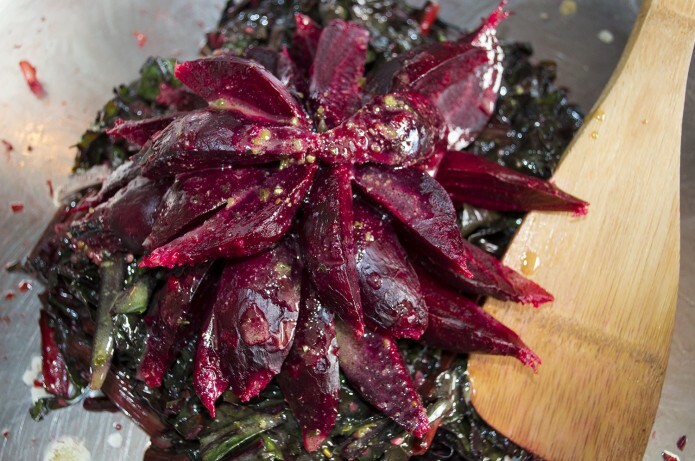 A wonderful holiday side dish made with some local honey from the Woogie Bee! 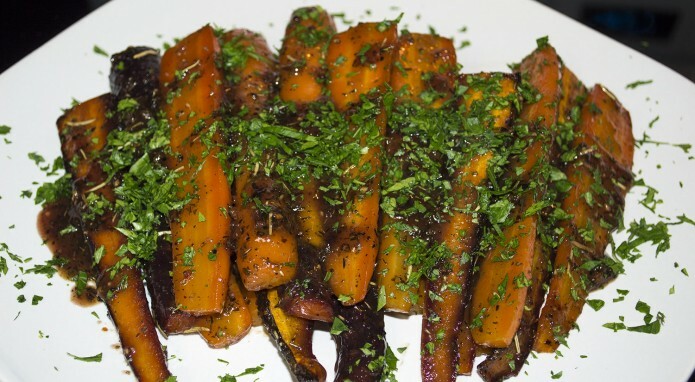 Glazed carrots are one of my fave dishes during the holidays (or anytime) – I Frenched this up a little by using Herbes de Provence, which is typically a blend of savory, marjoram, rosemary, thyme, oregano, lavender and other herbs. The blend can be made at home or you can pick some up at your local market! Peel and spilt your carrots in half. If using Purple Carrots, scrub well but do not peel to help retain the color. In a separate bowl, whisk olive oil, honey, dijon, herbs, salt, pepper and champagne. 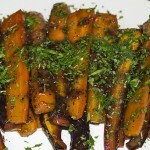 Arrange carrots on a baking sheet lined with parchment paper - making sure that they do not overlap. Drizzle honey mixture over the carrots coating evenly. Roast in the oven for 25-30 minutes until carrots are tender but slightly firm with golden brown edges. Turn the carrots occasionally while cooking to roast evenly. 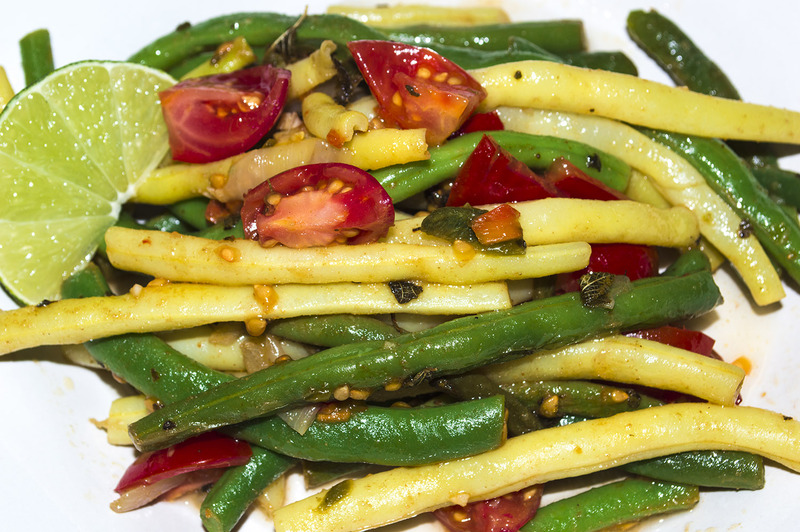 A simple, spicy and flavorful dish that pairs quite well with almost any meal. And by almost, I mean it that it probably won’t go too well with your morning cup of coffee and bowl of cereal. If you’re looking for something a little less spicy, just cut down the jalapeno to one (or less if your peppers are spicy). My peppers from the garden weren’t too overly spicy this year so I went with two… and I like it spicy. Removing the seeds in your peppers will also tone down the spiciness. I added honey at the end to balance out the lime and the spice but you can also use a little bit of sugar if you would like to keep the recipe vegan. Enjoy! 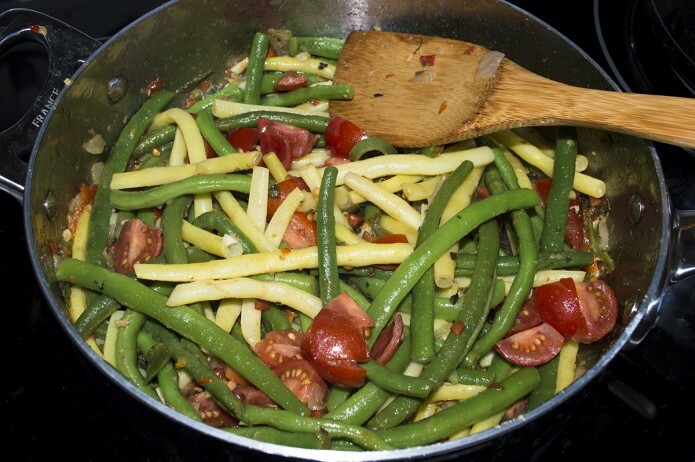 Blanch green beans in a large stock pot of well salted boiling water until bright green in color and tender crisp, roughly 3 minutes. Drain and place in a bowl of ice water to stop from cooking. Set aside. Heat the avocado oil in a large skillet set over medium heat. Add the onion and cook until translucent. Add jalapeño, poblano, garlic coriander, salt and green beans. Stir until well incorporated. 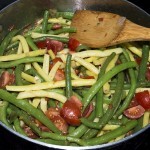 Cover and allow to cook for about 5 minutes or until beans are tender but still bright green. 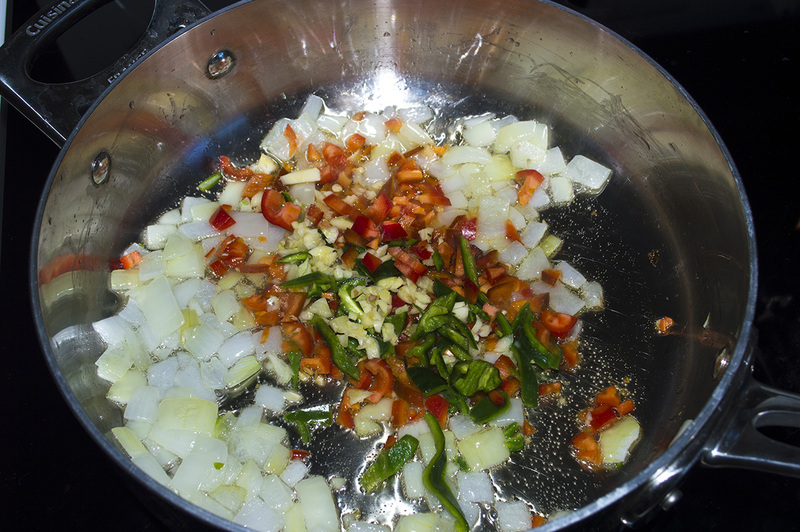 Remove from heat; add tomatoes, mexican oregano, lime juice and honey. Stir well and serve immediately. 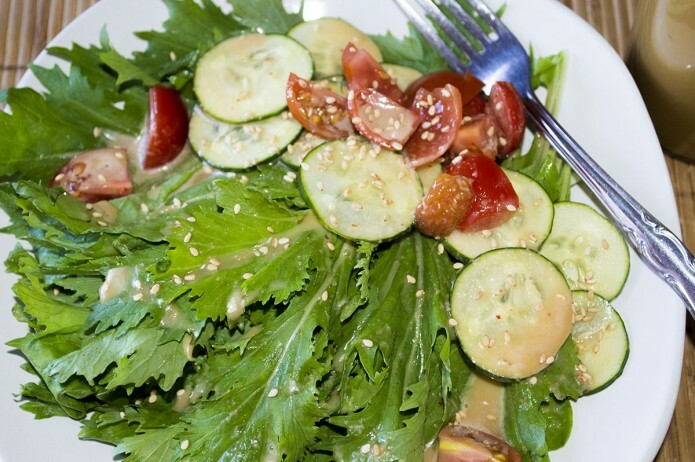 This dressing pairs exceptionally well with peppery greens such as Mizuna and Arugula which were both coincidentally included in this weeks summer share. How convenient! 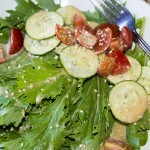 I’ve found that this dressing can also be used as a marinade for meat, tofu and grilled veggies! Enjoy! In a small bowl, add honey and stir into hot water to dissolve. Add to blender or food processor. Combine all ingredients into blender and mix until well blended. Pour into dressing container. Contents may settle so you'll need to shake well before using. Meatloaf, smeatloaf, double-beatloaf. I hate meatloaf. We’ve all had our remarkably awful memories of a family members dry and dreadful meatloaf. Admittedly, it took some time for me to hop on the meatloaf wagon due to severe childhood scarring. 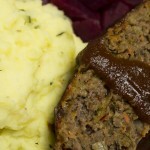 Meatloaf can really be delicious… if prepared properly. I decided to make an alternative recipe with the overabundance of leeks that I’ve had in my possession as of late. Secondly, I’ve discovered that large amounts of garlic intake and feeding a newborn baby does not go well together and results in a very gassy baby. What does that mean? I’ve had to find a way to replace my love for garlic in MANY of my recipes (sigh). The answer was LEEKS! One day I’ll be able to reintroduce garlic back into my diet but leeks will do for now. You can always add garlic to the recipe below and feel sorry for me later. 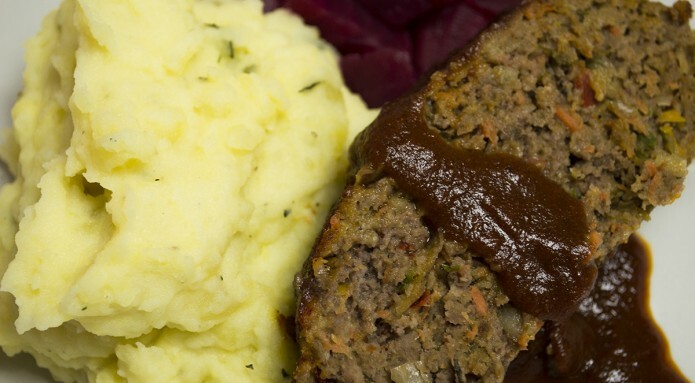 The key to keeping your meatloaf from tasting like the Sahara is to COOK your vegetables before adding them to your meat mixture and allowing them to cool. The addition of a little milk to your breadcrumbs will result in a very juicy, memorable (in a good way) meatloaf. I topped this one off with some homemade curry ketchup (you can find a great recipe here) or use some of your favorite bottled kind from the European market. Clean and thinly slice your leek. Finely mince the onion, celery, bell peppers, celery and shred your carrots. 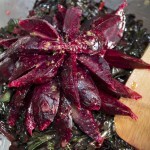 In a saute pan over low-medium heat, add your olive oil, the chopped and shredded veggies and red wine. Add fresh thyme, fennel seeds, salt and pepper. Allow to cook for 15-20 minutes until onions are translucent. Stir frequently. Set aside and allow to COOL. In a small bowl, add your bread crumbs and milk. Allow to soak for a few minutes. In a separate large bowl, whisk your egg until frothy. Add your meat, cooked veggie mixture, soaked breadcrumbs and fresh chopped parsley. With clean hands, mix all of the ingredients together. In a large baking pan, lightly oil the bottom and add the meat mix forming it into (you guessed it) a loaf! 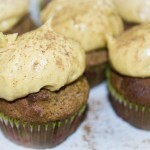 Mix the honey and curry ketchup in a small dish and coat the top of your loaf with appx 1/4 cup. Cover with foil and bake in the oven for appx 30 minutes. Remove from the oven and add another 1/4 cup of ketchup to the top of it. Place your loaf back into the oven and cook for another 15 minutes. 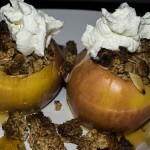 Apples, granola and brown sugar oh my. 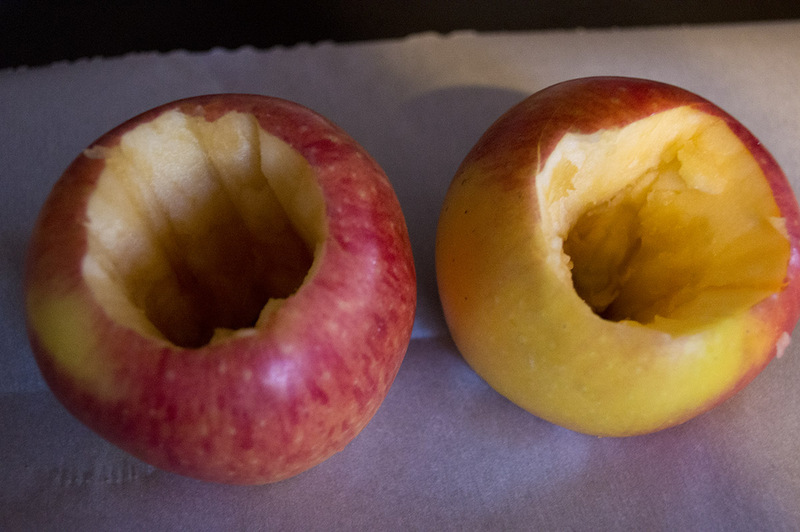 The Salish apples we included in your recent Winter CSA share are a fairly new breed of apple. Also know as the Pinova, the Salish Rose is a cross between a Splendour apple, selected for heartiness, and a Gala apple, selected for texture and taste. Aside from being delicious raw, it’s pretty darn good when you throw it in the oven with a few other tasty ingredients. 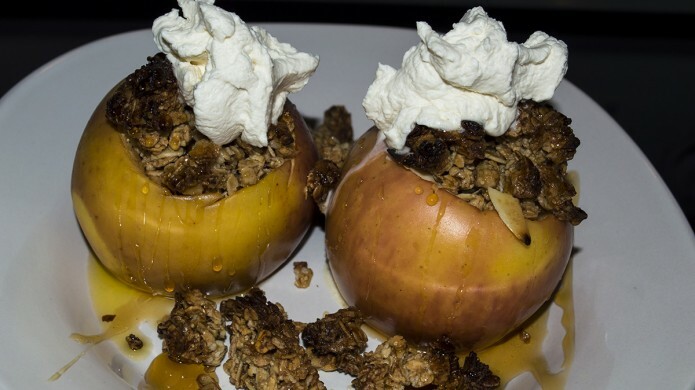 Here’s a quick and easy breakfast recipe that included these wonderful little apples topped with our very own honey from The Woogie Bee! With a pairing knife or apple corer, remove stem and seeds making a v-shaped space where your granola will call home. Try not to cut all the way through the apple otherwise you'll wind up with a little granola leak. 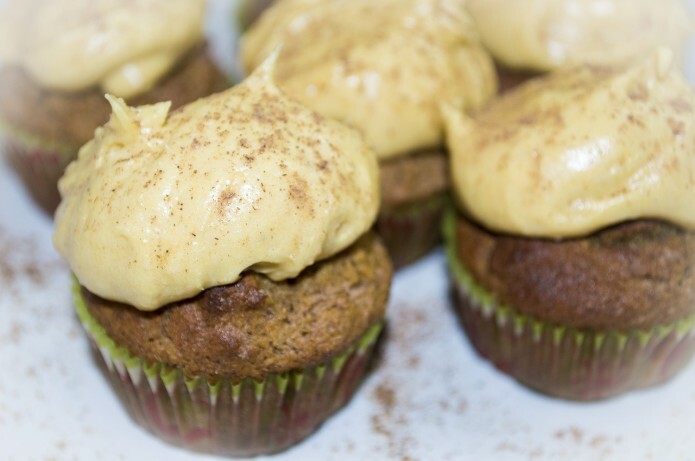 Place your apples on a baking sheet lined with parchment paper. Combine the granola, brown sugar and cinnamon in a small bowl. 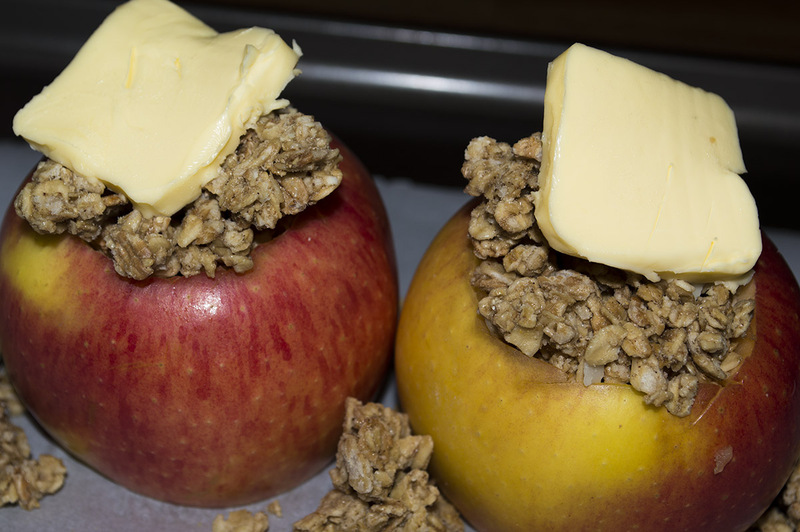 Once combined, pack the apples with the granola mixture. Any leftovers can be spread around the apples to bake along with them. On the top of each apple, place a tablespoon of butter. Place your apples in the oven and cook for about 15 minutes if you would like them to remain firm. Adjust the time depending on soft and cooked you want your apples. After they're done cooking, remove from oven and drizzle with honey and top with whipped cream.